At their strategic planning meeting this year, your elected leadership developed a vision and a set of priorities to guide the association through a period of extraordinary challenges and opportunities unfolding in the coming years. 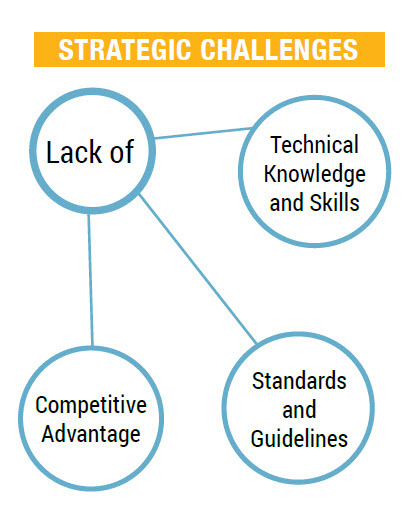 The overview of that strategic plan is shown on these pages. This framework will guide the preparation of detailed plans and actions to realize the “To Be” vision described here. 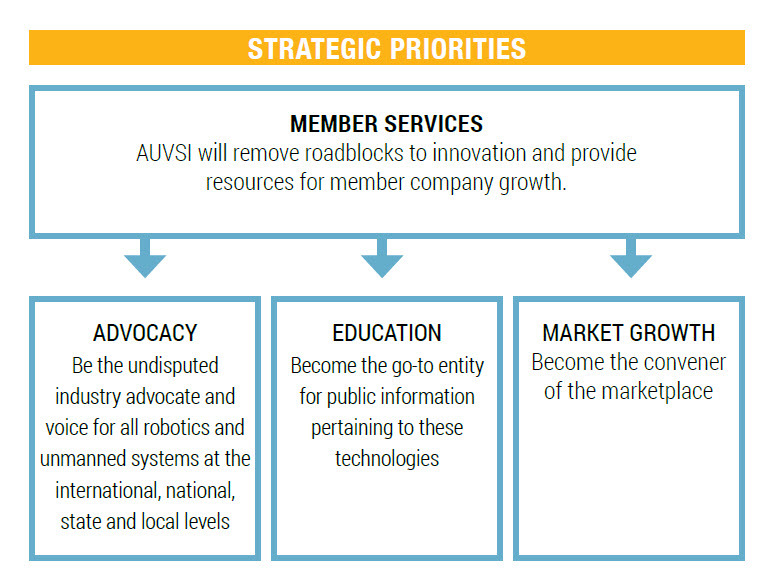 As an association of businesses, institutions and individuals with a common interest in unmanned systems technology, AUVSI exists to advance that shared interest through advocacy, education and market growth. The work of the association fosters the technical and commercial success of the members and contributes to the societal benefits of safe, accessible and affordable advanced technology. 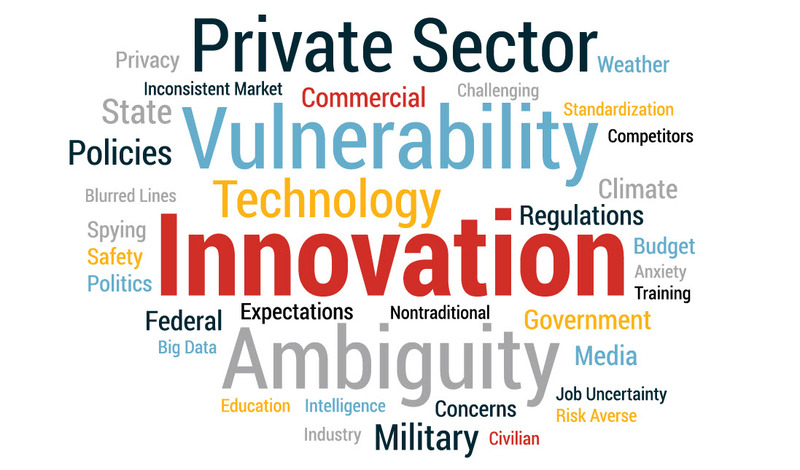 For more than four decades, AUVSI has been a leader in promoting collective interest in unmanned systems technology, to the benefit of a community that includes product manufacturers, government agencies, academic institutions and end users. That era began with establishing technical, application and policy fundamentals. Years of slow but steady incremental growth set the stage for a dramatic acceleration and acceptance of unmanned systems in the post-9/11 era, predominantly by military and civil government users. This, in turn, set the stage for an exponential emergence of commercial and consumer applications and demand. Over these 40-plus years, the association was recognized and respected by a well defined, but limited, constituency, operating mainly in controlled, bounded environments. In the era unfolding now, the almost unlimited potential for anyone to operate anywhere with any device opens technical, safety, policy and cultural challenges for an enormous constituency, who may turn to any number of sources for the leadership provided by an association such as AUVSI.